It is estimated that about 80 people have disappeared or have died in the fire at London’s Grenfell Tower. To prevent this from happening and to be able to protect your family from the fire, you need an advance planning to know what to do to being prepared in case a house fire happens at your home. 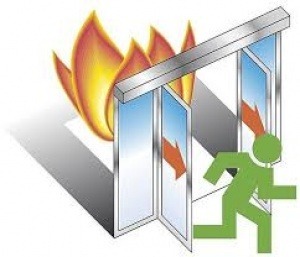 The following article will offer tips and guidelines on how to prepare for and conduct a home fire drill. Hold a family meeting and discuss various ways on how you can evacuate your home safely and promptly in the event of a fire. Afterward, walk through your entire house with your family and look for means of quick escape. Draft a floor plan of your home, and ensure that all exits are clearly marked.Use different colors to indicate the routes out on each floor, and go over the map with your family periodically and before fire drills so that no one forgets exactly where to head in the event of a fire emergency. Check to make sure you have the proper fire safety and evacuation supplies to use for your drill, and in a real house fire. These items include everything from fire extinguishers to escape ladders, as well as working smoke detectors. If you have them, test them out before the drill (or at least from time to time) to guarantee that they are functioning properly. If not, you can find all of the items listed above and more at any hardware or equipment store, or online. Train children to use a fire extinguisher before the drill. Let them know that it is not a toy, but rather a device that can stop the spread of nearby flames and allow them time to escape. Buy an extra extinguisher and show them how to use it in your backyard or somewhere outdoors to avoid a mess, and keep it somewhere safe. Practice using the fire-escape ladders if you need them in order to demonstrate how to configure the equipment and show the family how to use it.. Choose a safe place outside of your home for your family to meet up during drills and in the event of a real fire. Make sure the location is far enough from your home to avoid being harmed by the fire, but still close by. A spot across the street or a neighbor’s lawn are good ideas. Always have a phone or cell phone with you tocontact emergency services, even if your smoke detectors are working properly. Conduct the drill at night, or at some time when your family is present at home but unsuspecting. Blow a whistle in place of the smoke alarm, and help your family out as quickly as possible, just as in a real fire. Stay low to the floor to avoid inhaling “smoke”, use the fire-escape ladders, and take out fire extinguishers as if there were a real fire. There may not be a real fire, but as is the point of the drill, it’s good practice! After the drill, store everything away as it was before. Congratulate your family on a job well done, and if you’d like to learn more, visit a local fire station or emergency preparedness center. The workers and firefighters can offer additional tips, recommendations for equipment, and smoke alarm inspections.